Canadian Aviator Publishers, which publishes COPA Flight and Canadian Aviator Magazine is taking a major step toward preserving the rich history of Canadian aviation through the establishment of a mail-order book store. Aviator’s Bookshelf is devoted entirely to publishing and selling books about Canadian Aviation by Canadian authors to ensure the thousands of important stories that bring us to today in our history remain alive. A page of selections of the books we carry appeared in COPA Flight for the first time in the December edition and will be there in every issue. We’ve also built a standalone Web site, aviatorsbookshelf.ca, where customers can view all the selections and order through our secure e-commerce system provided by Canadian company Shopify. It’s simple, secure and convenient. We will also accept email and phone orders and full details are on the magazine pages and at the Web site. We’ve set up a small distribution centre and the books will be sent by Canada Post within days of receiving the order. Only books that are in stock will appear on the Web site. In addition to selling books, we are also publishing new titles because authors are having a hard time finding publishers willing to invest in what is admittedly a tiny niche literary market. Our first was Rick Found’s critically acclaimed history of his family’s company Found Aircraft. 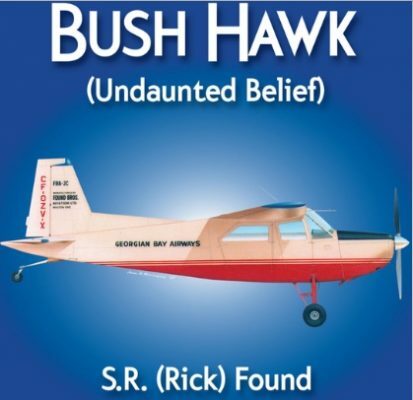 The Bush Hawk is considered one of the best bush planes ever built and the Expedition, which was certified about 10 years ago, will be built by the New Zealand company, Pacific Aerospace, that bought Found’s assets and intellectual property out of bankruptcy in 2016. We’re already working on our second title and will be providing details on it, soon. The goal is to not lose money while keeping Canadian aviation literature alive and we’ve been gratified by the response to our soft opening. In case we make a little money, a portion of net proceeds will benefit COPA.